Easy to configure and use for both the customer and seller. - SmartDelivery’s back office is simple to use and is aligned with the Prestashop back office look and feel. - Slot creation is flexible so it can be used for any kind of deliveries. - Delivery time slots also allow you to re-arrange deliveries with another slot in order to optimize delivery trips. 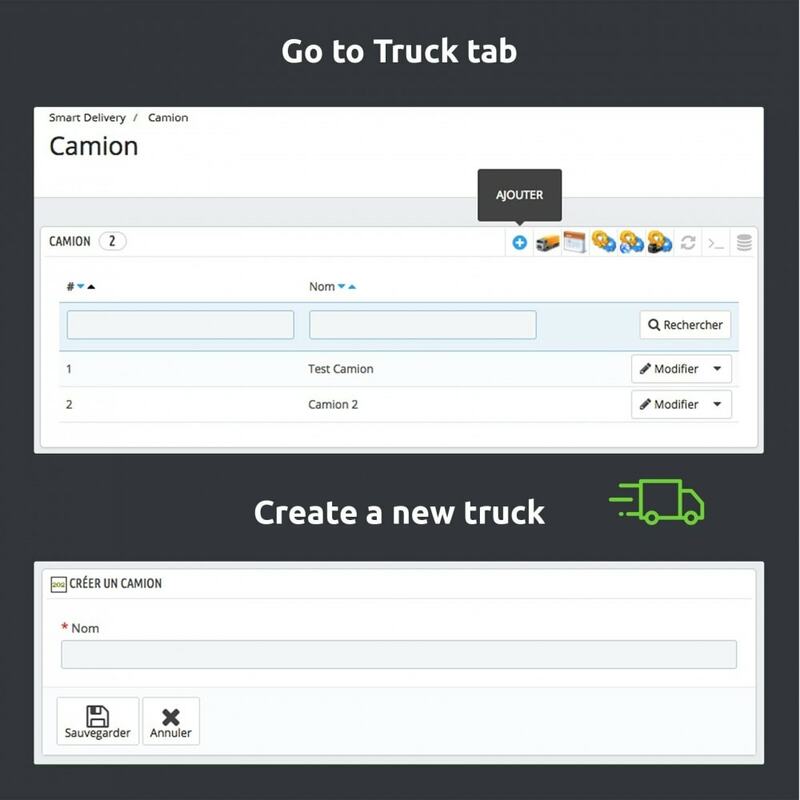 - The multi-vehicle feature allows you to manage multiple deliveries in the same areas and / or in distinct areas. - Delivery trip optimization screen helps you quickly optimize delivery trips. - Define default delivery rounds: available vehicles, time slots, areas (one or more zip codes), and maximum number of deliveries allowed by hour. - Define a booking frame in order to limit future booking. For example, you can define 2 months as the maximum advance you can book a delivery. Booking frame is clearly displayed in the back office (open and closed delivery slots). 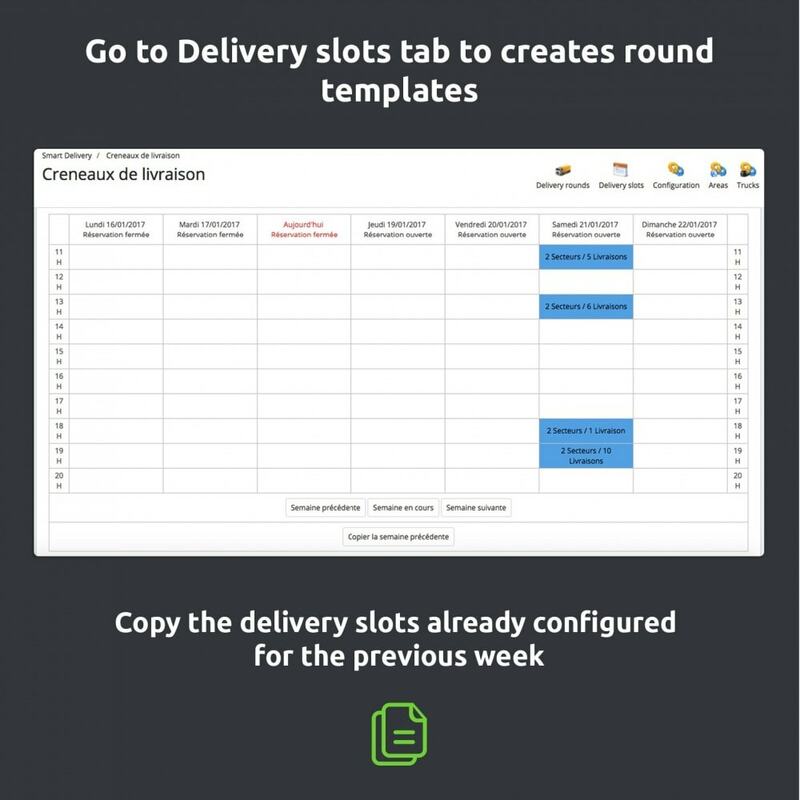 - In the carrier choice screen of the PrestaShop check out process, a weekly agenda displays delivery available to the customer. - Available slots are defined based on the customer's zip code as well as other customers booking on slots compared to the maximum delivery allowed on each slot. - Deliveries out of the defined areas are not possible. 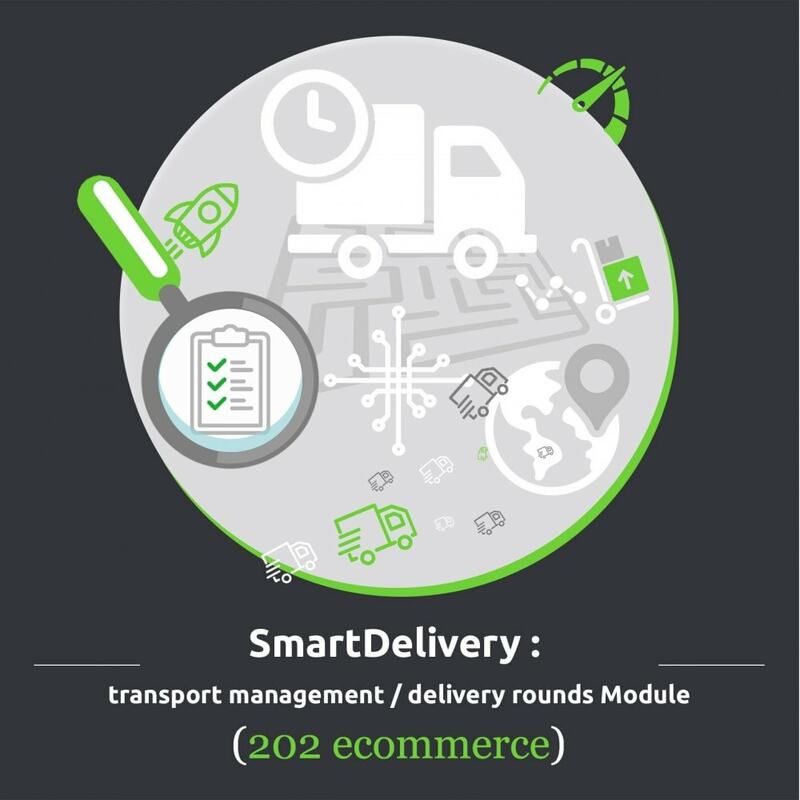 - In order to simplify its use, SmartDelivery back office integrates a dedicated screen to delivery bookings, on top of the screen to define delivery slots. - Another screen is dedicated to delivery rounds : it displays on the right part the delivery list, and on the left part a map with the delivery path. 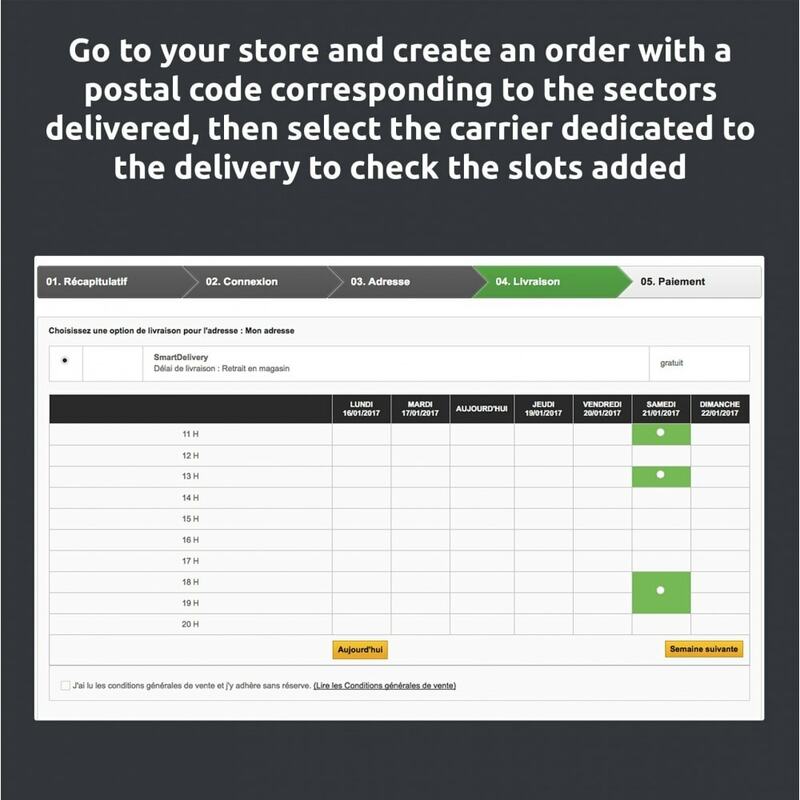 Using this screen, you can easily optimize the path and keep deliveries in the time slots announced to customers. - Once each delivery trip is optimized, you can send it by email, or print it in a printable format. - This module does not integrate a specific cost management system for deliveries. For cost management please use the native Prestashop module. - Neither area names nor delivery slots displayed in front office are seen to customers: your internal arrangement is kept private ! - Area overlap & trip optimization allows you to maximize efficiently. FYI : Paris is composed of multiple zip codes, all starting with 75xxx. Smaller codes are in the center, then code is growing in a snail schema. A customer based in the city of Puteaux (92800, just outside Paris) will see 2 delivery options : 9h - 13h, and 14h - 19h. 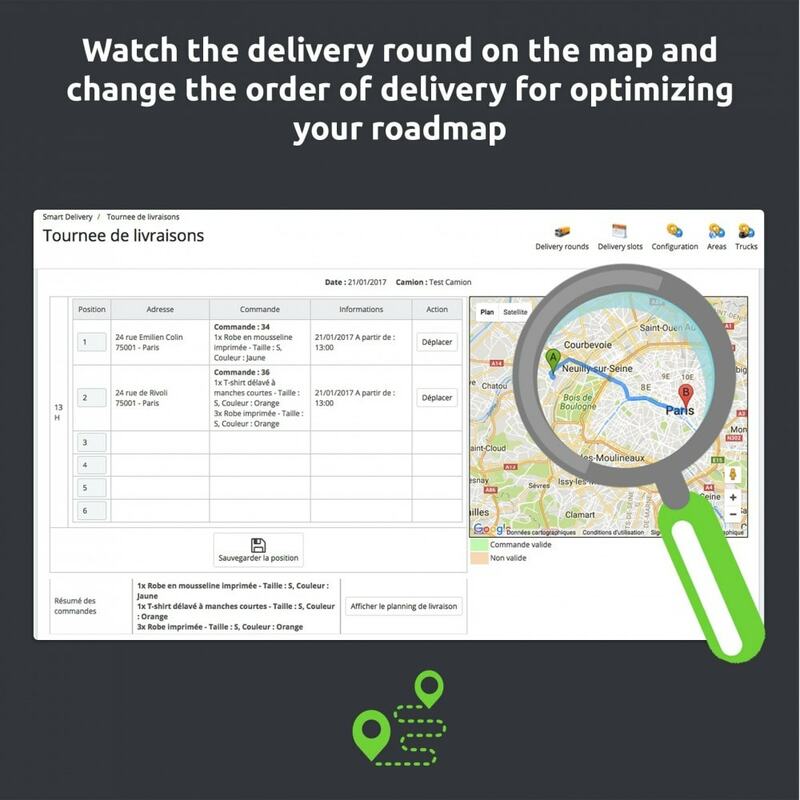 A customer based in the 5th arrondissement of Paris will only see one delivery option : 10h- 12h. 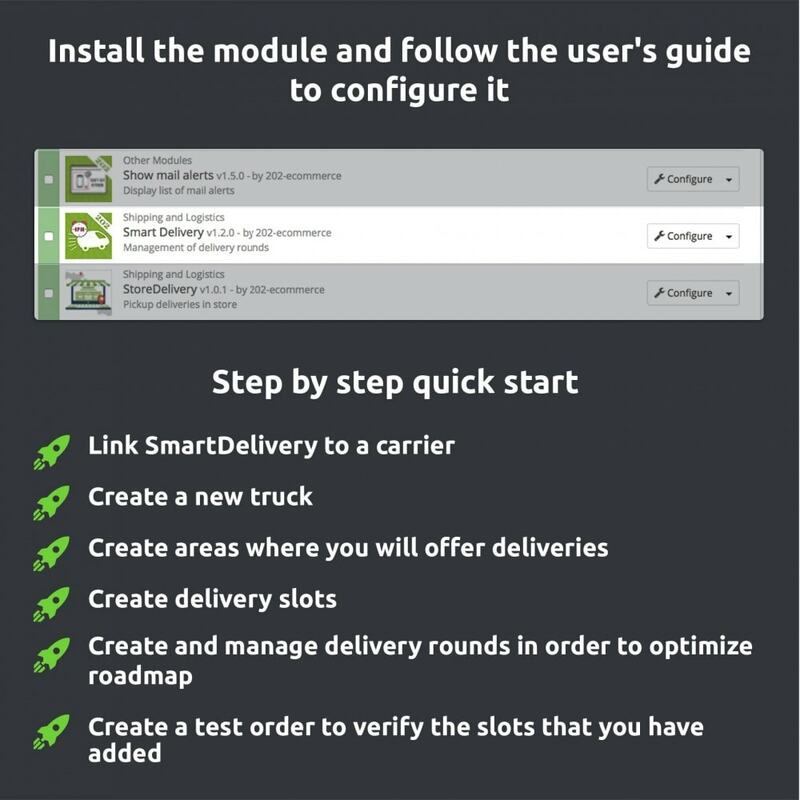 “SmartDelivery” allows you to overlap areas in order to maximize availability of delivery slots for your customers and number of deliveries during delivery trips. In our example : from 10h to 11h, both customers based in Central Paris & the left bank will be allowed to book deliveries (these areas are neighboring). After all slots are taken by orders, you will exchange deliveries within the time slot in order to optimize the delivery trip. New ! : The time slots for the same areas following to each others can be merged in front office if you need it. 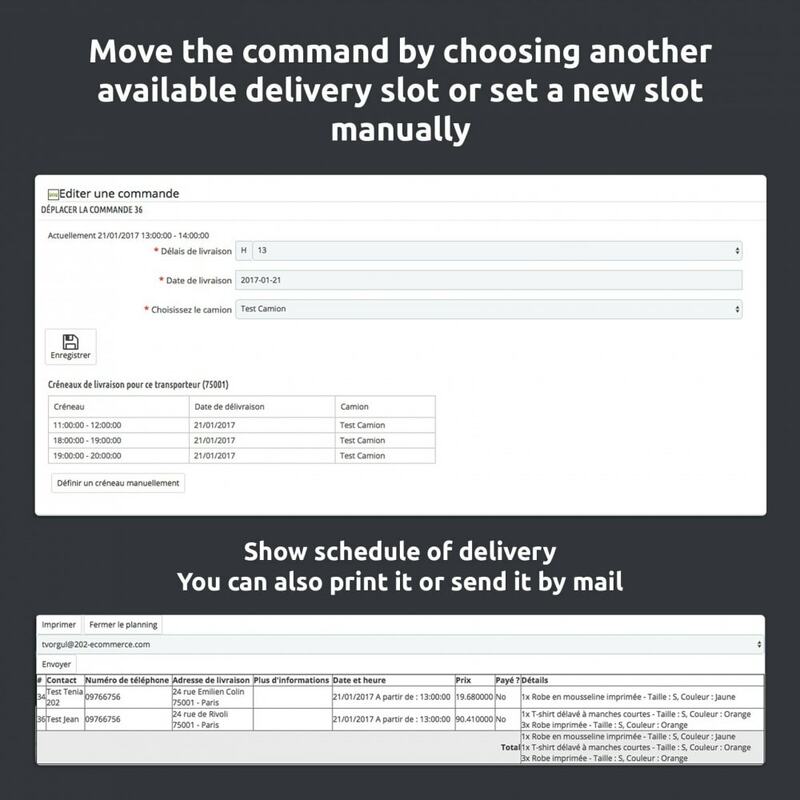 When creating the delivery slots you can select the schedules to merge. Example : "Area 12" is available on 9h-10h & 10h-11h the same day (and it is marked as "merged slots" from BackOffice), End user will see & book 9h-11h. This is done in purpose to allow delivery round to be adapted in order to optimize roadmap. Organic Store is a Responsive theme which will easily fits to products like Grocery, Food, Vegetables, Fruits, Kitchen, Dairy, Accessories and multi purpose stores.Theme is responsive and supports all devices, user-friendly and fine-looking. We suggest to use also the "Shipping preview" module : this is the best solution for offering your customers a preview of their shipping costs! This Addon gives you the ability to add a button on your product page that displays the estimated shipping. We are an agency specialized in e-commerce, and we have web techniques adapted to the specific problems of online sales. We are a group of web professionals who are passionate about online sales and supporting e-retailers, driven by the same desire as them - to sell more. 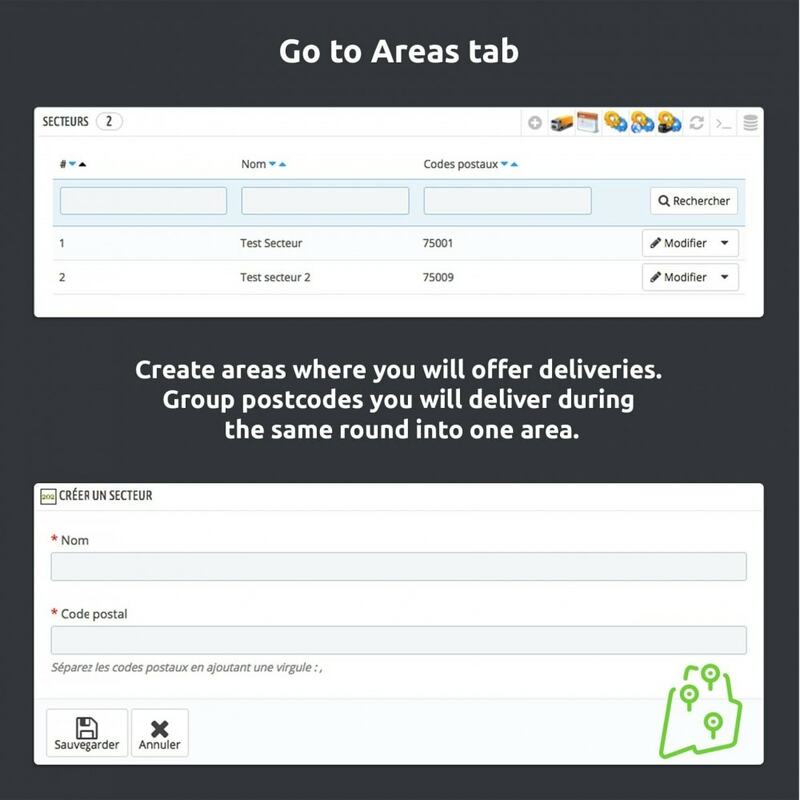 - Delivery slot presets optimize delivery routes, allowing you to offer multiple delivery slots to your customers, and actually be on time with delivery!